Thank you for the letters kits they are wonderful. My three years old really loves them. Ordered your book , can’t wait for it to arrive. Good to hear , thank you for sharing 🙂 looking forward to hear a feedback when you get the book. Great, thank you. Looking forward to the next kit. Just wanted to say that I love your activities. 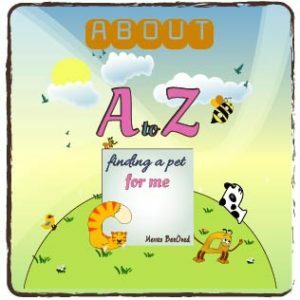 The A-Z finding a pet for me is great my son is addicted to it 🙂 and already made so much progress. Thank you. That is so wonderful , thanks for letting me know.